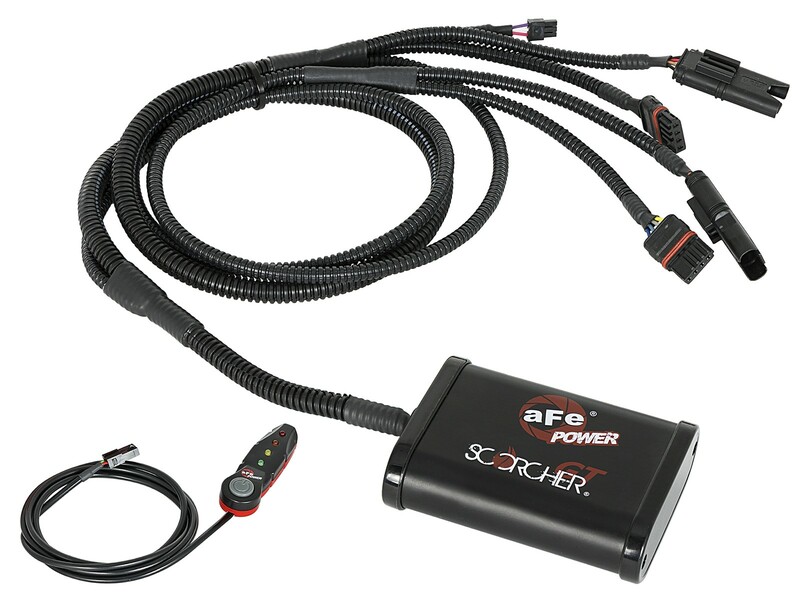 A simple 30 minute install will give you a huge increase in power. 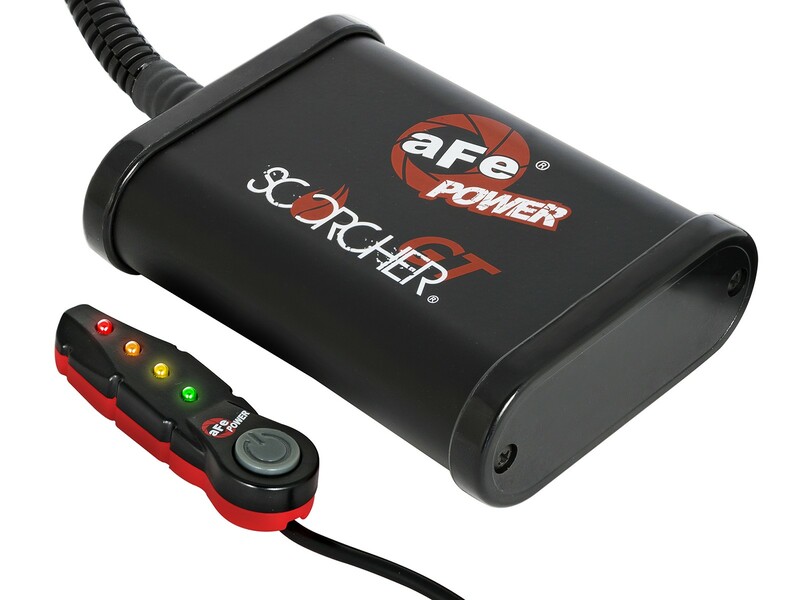 The aFe POWER SCORCHER GT Module includes a high quality case & wire harness with factory style connectors for an easy plug & play installation. 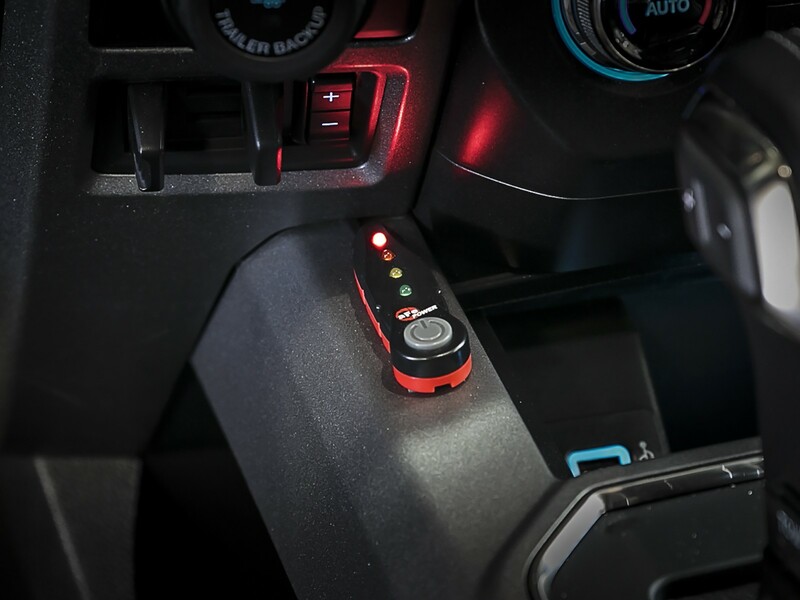 A LED light switch provides In-Cabin On-The-Fly power adjustments. 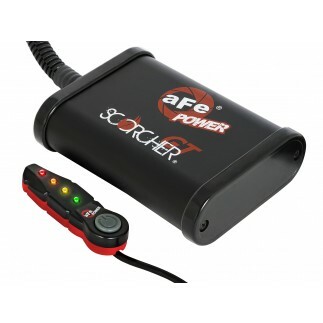 The 4-Power settings are adjustable with one button and the LED light represent the settings: Stock (Green), Sport (Yellow), Sport+ (Orange) and Race (Red) . This performance module increase turbo boost. 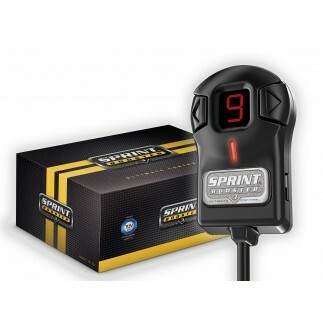 It improves vehicle performance and throttle response. In testing, this module resulted in significant +40 horsepower and up to +60 lbs. x ft. of torque verified by our in house dyno. 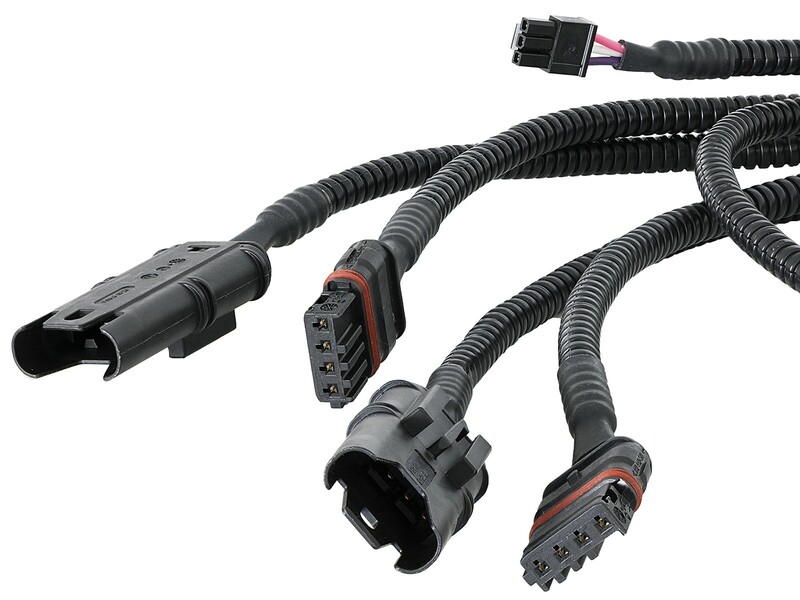 The BMW N63 came with two types of TMAP sensors. BMW changed them mid-2011. 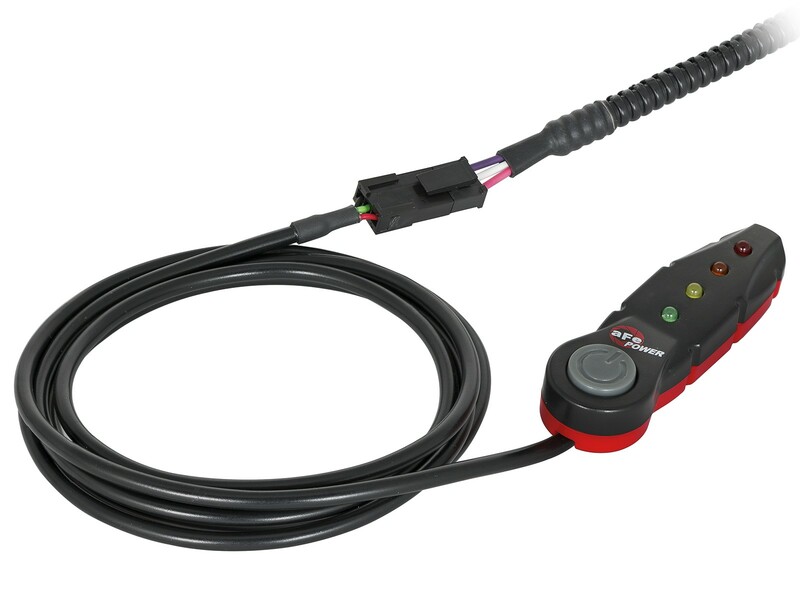 This module accommodates the sensor 1 style (early 2011 and before). 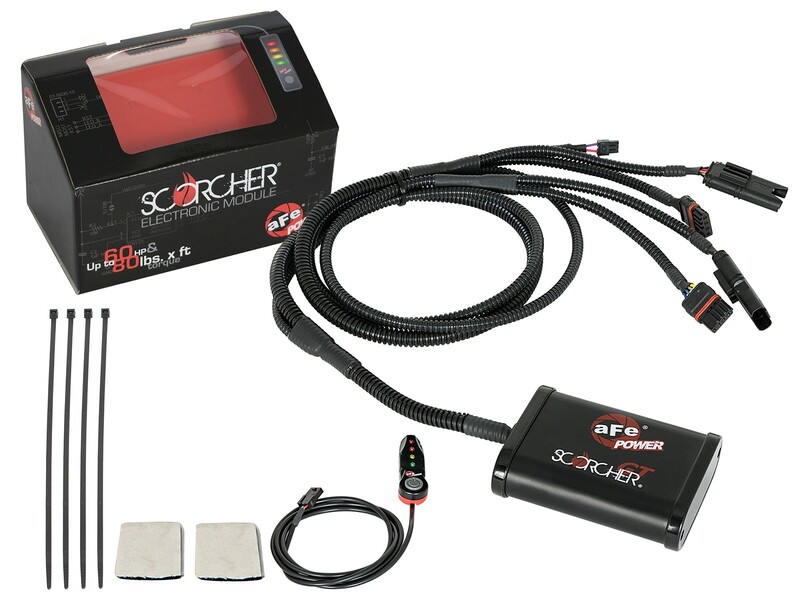 The sensor 1 TMAP sensor is identified by having a smooth connector housing and a raised square located between the mounting bolt locations. See the illustration on the web page for details. The TMAP sensors are located on the intercooler bank on both side of the engine.